October has been good to me. I have been on a really tight budget, due to those big bills like Car rego. Being paid monthly doesn't help either!! All these things have conspired to make me rediscover my stash, and let me tell you I have some amazing stuff! And below is just a really small part of it that has captured my attention so far! 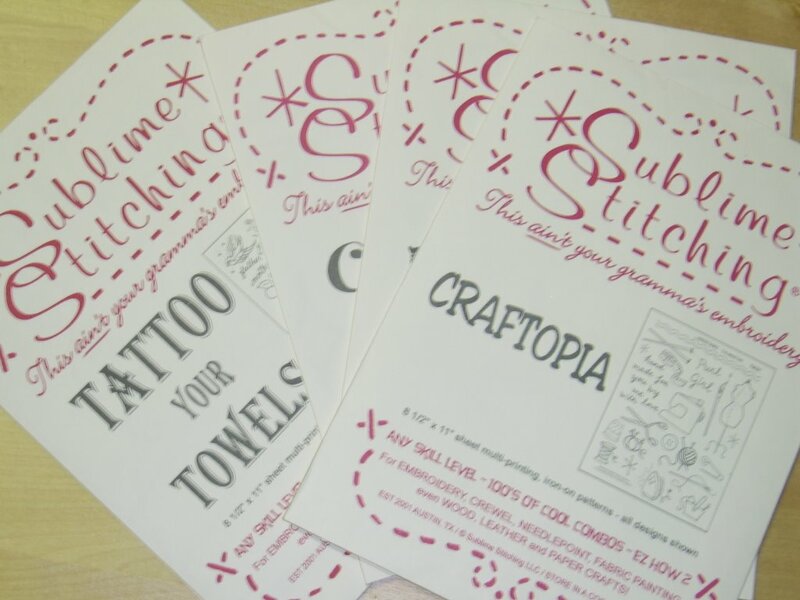 Reading Black Dog Knits blog, caused me to remember the embroidery patterns I bought from Sublime Stitching Sadie and Lance I don't think I have paid you for them yet??). So I guess maybe I didn't buy them??!!?? Must get onto that and polish up my very rusty skills. My Mum taught me how to embroider, along with sewing, when I was a wee baby girl. I remember being 6 or 7 with my own battery operated scissors and little sewing machine, making dolls clothes with seams on the outside! Also remember cutting sisters hair with those scissors, too easy! I must get a project going with some of those patterns. And then there is the 600g of 8ply cotton that I bought from the Bendigo Wool Mill stand at the Craft and Quilt fair in Sydney in July. I think I finally have found the project for it! Yay! I bought Jo Sharp Knit issue 2 today and it had a Bolero pattern in it, which would look great in this yarn. AND it looks like I will have enough left over for something else as well!! Double Yay! 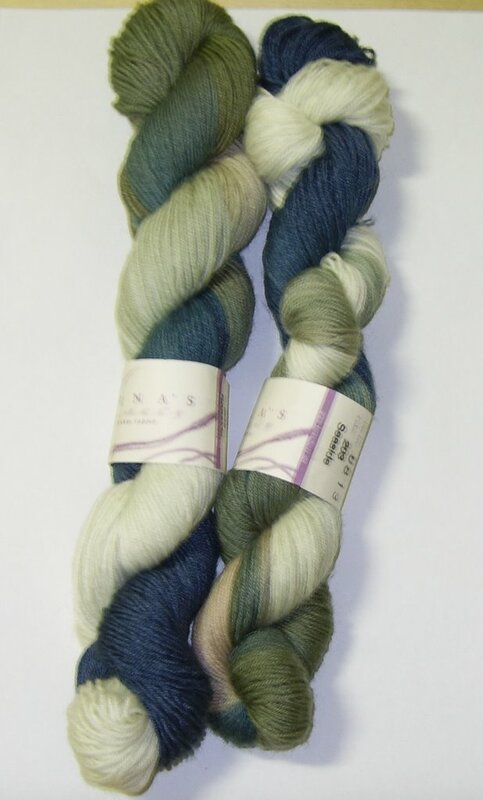 And finally, my one splurge for the month was some Lorna's Laces Shepherd Sock yarn in Seaside, how yummy is it! Well worth taking my lunch to work for 4 weeks and cutting back on coffees!! These little babies don't have a project, yet! I was really impressed by Brown Pants shawl that she made from the LL Shepherd sock in bittersweet, so my preference would be to knit a shawl (rectangular) with them. Let me know if you have seen any rectangular lace shawl patterns anywhere, I would love to get my hands on a pattern. So, there you have it! I can thoroughly recommend rediscovering your stash, it is just a pity that I only ever do it when funds are tight! Mental note, look at stash once a month, even if it is just to admire how big and yummy it is!! You could try feather and fan for a rectangular lace shawl? I think it would be OK in veriegated yarn. You could swatch first (ha!). 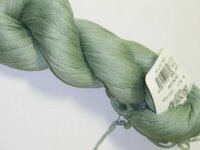 There's a free pattern at knitpicks. You can go here http://www.knitpicks.com/projects/itemid_50478221/projects_display.aspx and download the pattern.